Participants during a recent visit between the Challis Primary School Girl’s Academy students and the Moorditj social program. 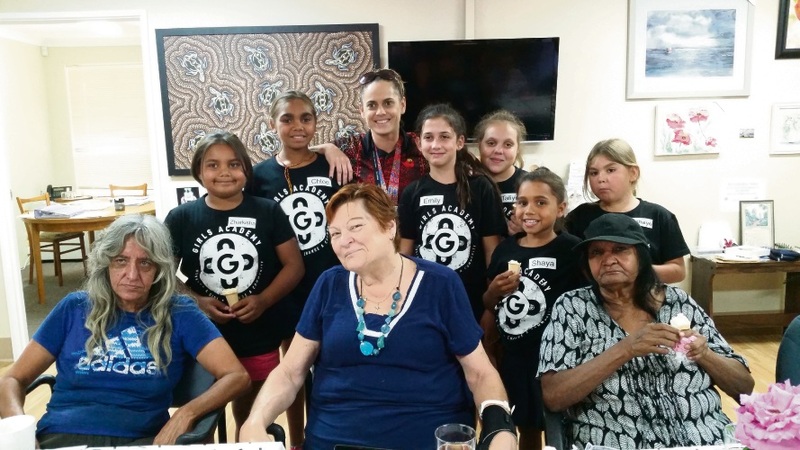 A NEW partnership between two local Indigenous programs could help strengthen the bonds between young girls and their cultural elders. As part of Challis Community Primary School’s Girls Academy program, which aims to increase school attendance and advance personal and academic achievement among Aboriginal and Torres Strait Islander girls, students have begun regular visits to Rise Community Network’s Moorditj social program. Rise program coordinator Maryann Ellis said during one visit the students talked about some of the art and craft the Moorditj participants had created before they all sat down and enjoyed lunch together. She said it was great that the two programs could come together in this way. “One of the teachers at Challis Primary approached Rise about working with our elders in the Moorditj program,” she said. “It’s all about learning new skills and connecting one-on-one with the elders. “The elders feel they can teach the girls skills as well keep them connected with their history and traditions. Visit www.risenetwork.com.au and www.girlsacademy.com.au for more information.